In past years, Doberman Pinschers, German Shepherds, and Rottweilers have out-ranked all other dog breeds as being the “most dangerous dogs.” These breeds are often misunderstood due to their large size, strength, and instincts to protect. Whenever there is a headline about one of these breeds, it is almost always negative; the news highlights child attacks and abuses the most. This forges a scary image of these dogs of having a short temper. 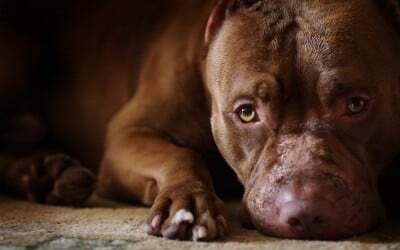 Today, Pit Bulls have taken the number one slot on the hierarchy, resulting in about 800,000 to 1 million dogs of the breed being euthanized out of 1.2 million dogs of any breed, nation wide. Today, we are going to de-bunk the stereotypes that these dogs have placed on them. Myth: Pit Bulls have locking jaws. Reality: Their jaws do not lock; even when compared to other dogs, the skulls share the same features and characteristics, and some other dog breeds have been proven to bite harder. Myth: Pit Bulls are more likely to bite than any other breed. Reality: Pit Bulls have passed the American Temperament Test Society tests, including aggressiveness, protectiveness, and friendliness. Their scores were even higher than Golden Retrievers and Collies in 2012. Myth: Pit Bulls are more likely to attack than any other breed. Reality: “Pit Bull” is a name in which over 20 breeds are categorized under. That many breeds clumped as one cannot be compared fairly to the rest of the dog population, and there is no statistical evidence to back up this myth. Myth: Pit Bulls cannot get along with other animals. Reality: Proper training and socialization can create a harmonious household with multiple pets. Myth: Pit Bulls can tolerate huge amounts of pain. Reality: Some Pit Bulls are even afraid of the cold and rain, but when aroused or pestered, they may be less responsive to pain. These are just some of the incorrect facts that these dogs face, resulting in them having a lower chance of adoption and a higher chance of being euthanized. Despite these myths, Pit Bulls, along with other “scary” dog breeds, are actually extremely loving, affectionate animals. They are highly intelligent and easily trained, and deserve a loving home just as much as any other dog! What do you think? Have you stereotyped these dog breeds due to widespread myths? Talk to us. How can we educate people?